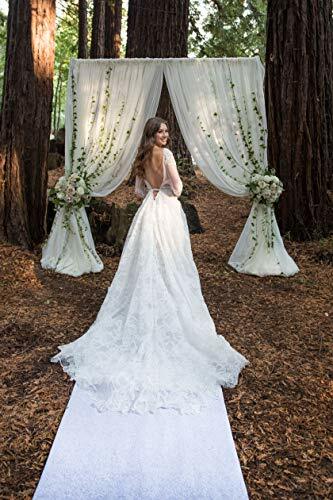 Every bride deserves the magic of having a memorable entrance as she walks down the aisle with her guests mesmerized by the beauty and elegance of the moment. 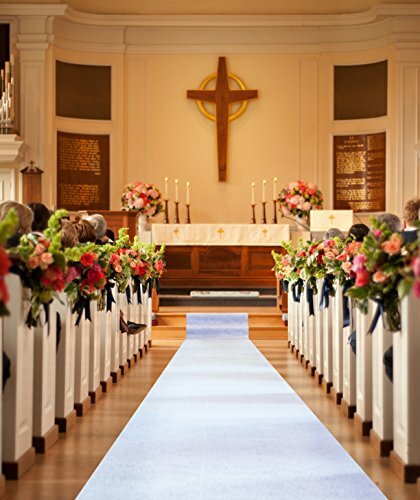 This premium aisle runner is a must have touch for the elegant wedding. Most aisle runners are a standard 30 gsm (Grams per Square Meter) which is an industry measurement of thickness of product. Our aisle runner is 50 gsm, which is thicker and more durable than most on the market. 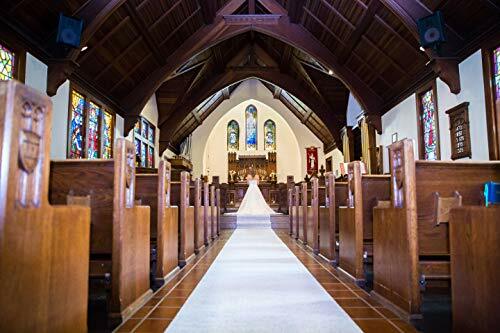 The higher gsm also gives your aisle runner minimal transparency. 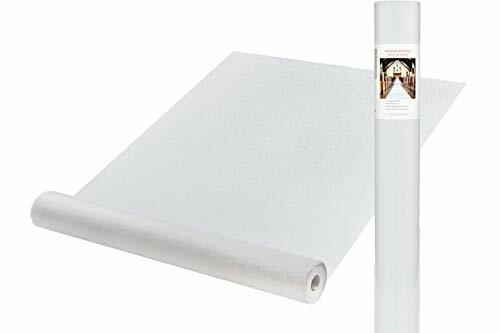 We use a premium, soft, non-woven cloth-like material that has a lovely etched vine scroll print which adds sophistication to your décor. Whoever is in charge of the aisle runner will love this easy to use product. We have thoughtfully placed an elegant braided white pull cord, which is very comfortable to hold while unfurling the runner down the aisle. Once the runner is in place, adhesive tape located at each end of the runner will secure it. 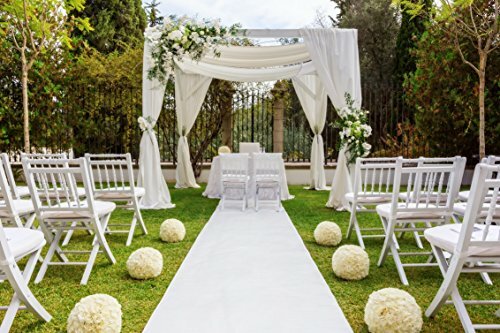 The aisle runner measures 3 feet wide x 100 feet long, however, if you find that it needs to be shortened to fit your aisle walkway, you can easily adjust the desired length with scissors. Easy to follow instructions are included with each roll. This aisle runner comes with a 100% money back guarantee. If you are not fully satisfied with your product receive your money back! DIMENSIONS: Each aisle runner measures 3 feet wide x 100 feet long. The runner can easily be shortened by cutting to desired length. 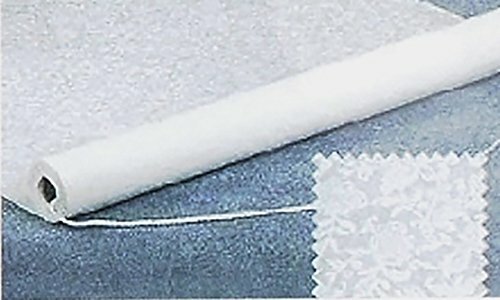 EASE: An elegant braided white pull cord is included with each individually sealed roll for ease of use on your special day. Easy to follow instructions are included. INDOOR OR OUTDOOR: This aisle runner is versatile and able to be used either indoor or outdoor. Adhesive tape placed on both ends of the aisle runner secures it in place, which allows for easy installation on carpet or floor. MINIMAL TRANSPARENCY: Industry standard for aisle runner thickness is 30 gram weight (gsm), we use a 50 gsm, which is thicker and more durable, giving you a white aisle runner with minimal transparency. 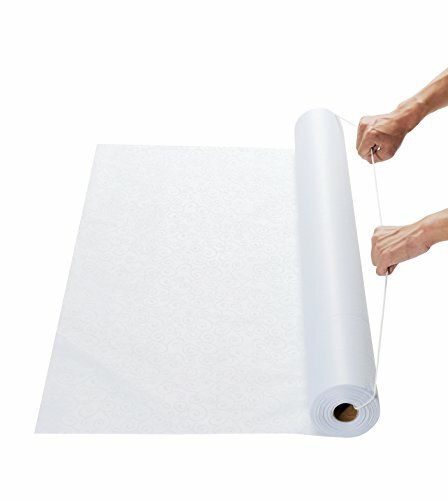 Our product is a premium, soft, non-woven cloth-like material. 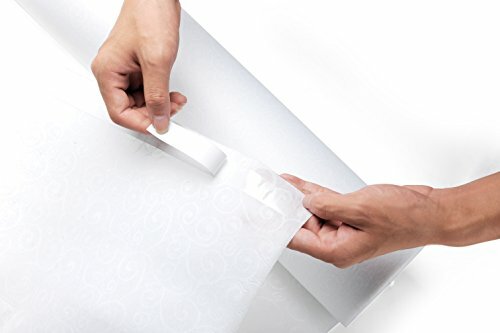 The etched vine scroll print is perfect for giving your guests the royal treatment. 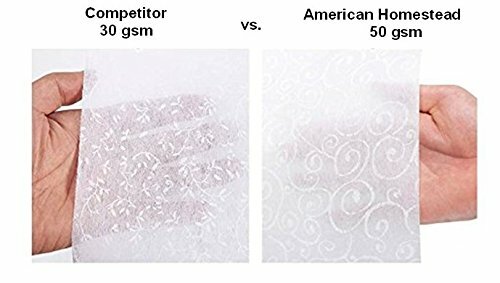 OUR PROMISE – to provide the very best in quality and services Our team is dedicated to your complete satisfaction 100% MONEY-BACK GUARANTEE – American Homestead’s Linen Cloth Like Guest Towels are backed by a full satisfaction guarantee or receive your money back. If for some reason you are not happy, please feel free to CONTACT US at Contact@AmericanHomesteadCompany.com.